You are here: Home / Posts Tagged "Goal Setting"
We all have a fundamental choice when we fall short of our goals and dreams. We can choose to modify our goals and dreams or magnify our skills needed to reach them. These are the only two solutions to this quandary we are in. Which are you going to choose? We must focus on acquiring the skills to create abundance in life. The mastery of the skills will create a life full of rewards. To acquire the skills in sales, in order to create abundance, we need to break it down to two components. The first is – we must talk to a lot of people. Great salespeople talk with more people than mediocre salespeople. By talking to lots of people daily, we insure victory. Mediocre salespeople let their feelings dictate their success in prospecting. When they don’t feel like prospecting, they don’t. Great salespeople cause their minds to control their actions in a positive manner. George Patton, the famous general, said, “You have to make the mind run the body. Never let the body tell the mind what to do. The body will always give up. It is always tired — morning, noon and night. The body is never tired if the mind is not tired. You’ve always got to make the mind take over and keep going.” Which is winning daily in your life? The mind or the body? Resolve to control your body and talk to lots of people daily. The second solution is practice. 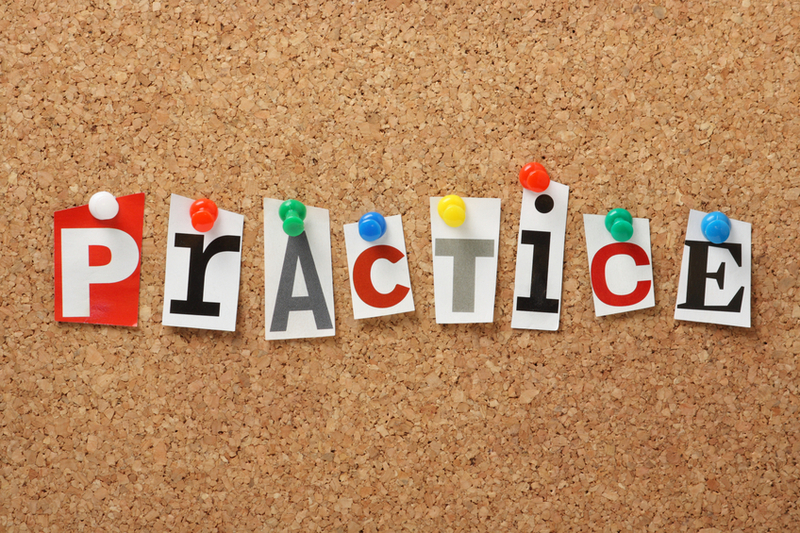 Daily practice is as valuable as making the sale. To develop a high level of skill in life we must practice. I spent hours in my youth practicing on the racquetball court my variety of shots. If I had not, I would never have won any tournaments. For me to be able to play at the professional level in racquetball, I hit hundreds of thousands of cross-court, backhand shots. This allowed that shot to be automatic under tournament pressure conditions. 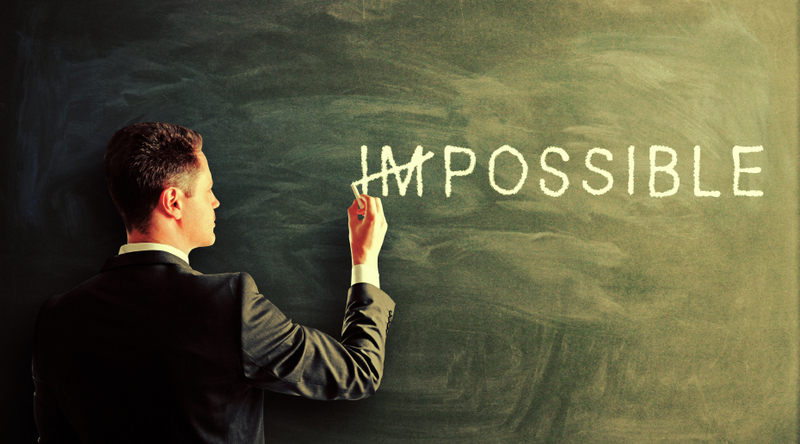 What do you need to practice on to become a world-class real estate agent? Is it your prospecting, qualifying, listing presentation, lead follow-up, negotiating? Each one of these areas needs practice. To achieve mastery of these skills it will take thousands of opportunities to improve your skills. Do you want to make the errors on “live” buyers and sellers or do you want to practice on partners where it is cheaper? Which do you choose? Let me share another example. Your child is learning to ride a bicycle. Do you send your child out on the busiest street for their first day or do you keep him or her in the backyard? I am sure the answer is obvious. Practice in a controlled environment gives us confidence and the skill to compete. It allows us to create wins in practice before we have to play the game. Make sure you adopt these philosophies and make a concerted effort to talk to a lot of people. You then need to practice daily so you improve your ability to execute in the moment. In all areas of life, taking action is the key to success. Most people who fail to achieve what they want, fail for lack of action. The ability to take action is the skill that ultimately separates the winners from the losers in the game of life. There are a number of truths that I have come across in my business and while coaching clients. These truths should be reviewed and lived by to produce the abundance in life that you desire. The power of consistency is one of the most significant forces in the world. It far outstrips the power of exactness. If you are consistently doing enough things right, you will reap a huge reward. 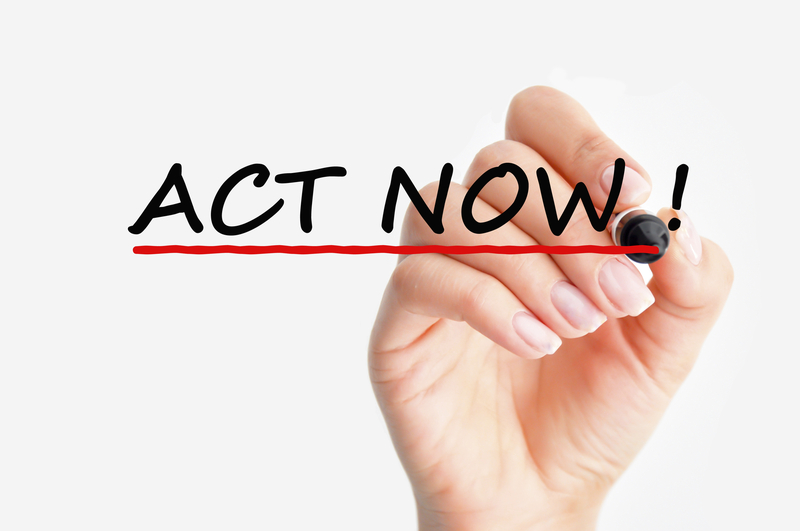 If you are waiting until you have it down to perfection, you are not going to take any action. In sales, more than any other profession, consistency of your actions pays big dividends, while infrequent action, even when right, pays very little. The daily consistency of prospecting and lead follow-up is the gateway to sales success and high profitability. Again, it’s more essential to success to be consistent than to be precise. Truth #2: A step toward your goal is a step in the right direction . . . even if it is a misstep. Too often, we fail to act due to fear of failure. We can become paralyzed by the need to be right or correct in all our actions. My late friend, Jim Rohn, says that to achieve your goal you need “measurable progress in reasonable time.” That doesn’t mean all the progress we make will be going in the right direction every time. Earl Nightingale said, “Success is the progressive realization of a worthy goal or ideal.” To achieve a worthy goal, we have to progress toward it through the trials. We must proceed with consistent action. 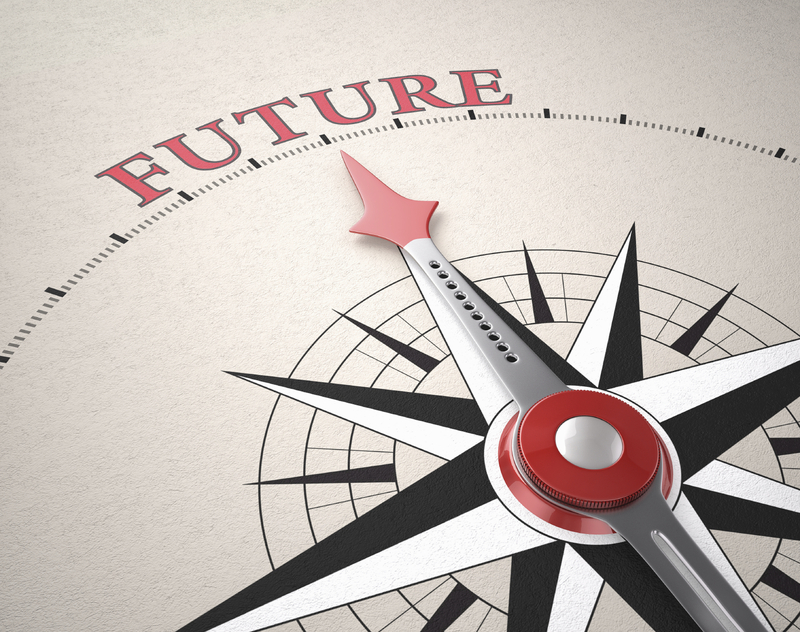 It also says there are times when we will be heading in the wrong direction and have to adjust our course of action. In the end, success is a poor teacher. The real teacher in life is adversity and short-term failure. You will always learn more from your defeats than your victories. In sales, you will learn more from the sale lost than the sale made. Most salespeople think that when they make the sale, they did everything right. What happens if that assumption is not true? What if you did just enough right to beat out the other guy, but he wasn’t any good? What will happen when the competition gets tougher or the marketplace gets tougher? Will you have the skills you need to dominate then? Too often, we fail to face reality. This comes back to us in unfulfilled potential. Unfulfilled potential eventually manifests itself as regret. We have to be fixated on taking steps to obtain our goals daily . . . even if they are the wrong steps. It’s better to make a decision and find out it was wrong than avoiding making a decision at all. At least you know what you should not do next time. Far too many of us just hope things will get better. We hope to become healthier or thinner, or we hope we will earn more. We have wishes and dreams but no commitment or definitiveness to change what we are doing to ensure the desired result. We fail to take action on what we know we need to do now. Many of us can vacillate over a decision for days, weeks, months, or even years. We must realize that by not making a decision, we have essentially made a choice. We end up making decisions by default because we did not decide and act. The decision was made for us. As salespeople, by not preparing for a changing marketplace or changing economy, our choice is solidified. We have chosen, by default, to not do as well or earn as much when the marketplace change occurs. Would it be reasonable to assume that our marketplace will always remain the same or improve? Would we be protecting our families and assets if we assume that we don’t need to improve our skills and abilities in sales? Our decision to not act in truth means we still have made a choice. Because none of us have the capacity to work on all of our goals at once, the more focused and specific we are, the more successful we can be. 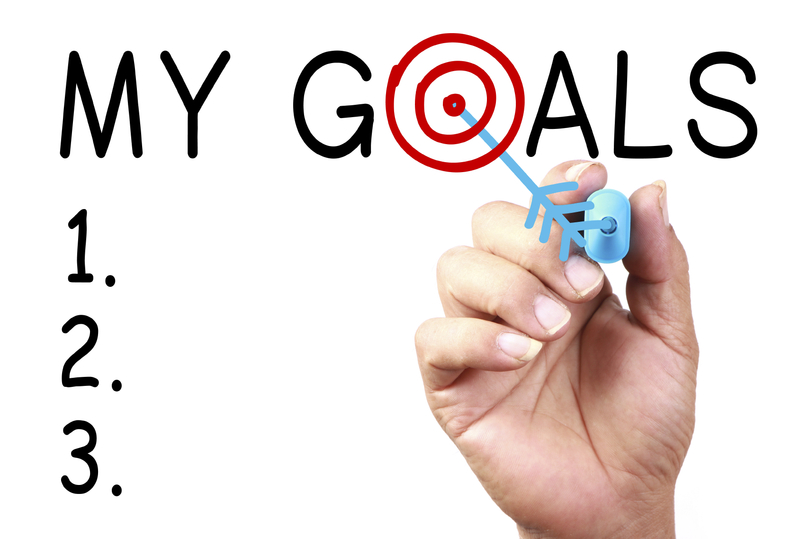 I would suggest a top ten list of goals that you apply your goal action plan. Determine the most important ten goals and create a goal action for each. Then list the resources you need or have available for each goal. Is there an amount of money I need to invest to accomplish this goal? Where can I acquire the money to reach the goal? Do I need to take it out of my working capital, savings, or borrow it? What skills must I acquire and perfect to reach this goal? What is the best way to acquire those skills in terms of ease, timeframe, and cost? What knowledge must I secure to achieve this goal? Is this knowledge specific or general? What’s the best pathway to obtain this knowledge in terms of ease, timeframe, and cost? What time investment must I make personally? What’s the timing or order of steps to ensure the accomplishment of this goal? Who can help me reduce the time or timing? Does who I know make a difference? If it does, who do I need to know and how do I get to know them? The process of setting and achieving goals is a process of clarity and commitment. It’s easier to have the commitment we need if we have the clarity of our goals. I am a firm believer that everyone has the opportunity to live a grand and glorious life. Everyone has the opportunity to accomplish anything they desire. The biggest barrier between you and your dreams is the clarity you lack to write down what you really want out of life. I learned from my late friend, Jim Rohn that life is not about what you acquire but what you become. We set goals to become the person we need to become to accomplish the goal. I had to become a different person to attract the success that I had in real estate sales. I have had to become a more skilled and more knowledgeable person to become a coach and speak in front of audiences. A specific example would be the fact that I had to become more disciplined to become an author of ten books and counting. The change in your thinking, your knowledge, your skills, your discipline that you must undergo is the real value. The achievement of crossing the finish line of the goal lasts a week, a day, or even just a moment. The improvements you made to cross that finish line of the goal lasts a lifetime. You get to invest that new found knowledge, skill, thinking, and discipline for the rest of your life to create more abundance and accomplishments. I believe that’s why most financially successful people create the largest portion of their wealth between the ages of fifty-five and sixty-five. Numerous studies have profiled wealthy individuals and discovered that successful people make more money in those ten years than all the preceding thirty plus years combined. For most of us, it takes us that long to acquire the wisdom, skills, knowledge, and discipline to achieve fantastic returns for our efforts. It’s difficult to work on all of your goals at once. We must choose and prioritize our goals to be able to create and implement our plan for achievement. We need a plan of action and achievement to successfully check the goals off of our life list. We must look at the resources in life that need to be employed to ensure the achievement of our goals: the resources of money, skills, knowledge, time, and other people. These are the resources of life that we can invest in achieving the Champion level of life. For each goal, we need to determine the resources to invest, as well as how much and when to invest them. Money: Is there an amount of money I need to invest to accomplish this goal? Where can I acquire the money to reach the goal? Do I need to take it out of my working capital, savings, or borrow it? Skills: What skills must I acquire and perfect to reach this goal? What is the best way to acquire those skills in terms of ease, timeframe, and cost? Knowledge: What knowledge must I secure to achieve this goal? Is this knowledge specific or general? What’s the best pathway to obtain this knowledge in terms of ease, timeframe, and cost? Time: What time investment must I make personally? What’s the timing or order of steps to ensure the accomplishment of this goal? Other People: Who else can help me? Who can help me reduce the time or timing? Does who I know make a difference? If it does, who do I need to know and how do I get to know them? These are the questions to ask ourselves relating to the resource areas we need to apply to each of our goals to ensure the fulfillment of our big whys and big goals in life. There are four fundamental plans that any Agent needs to construct to increase their production and quality of life dramatically. It doesn’t matter where you are on the success continuum; you must construct and execute these four core plans or models. Whatever level of success you at in your career today is because of where you are in relation to the construction of these plans. If you are a new Agent, you have a lot of work ahead. If you are inconsistent in your production and income, you might have a rough outline but few details. If you are consistent in your earnings, you have filled in a few of the details, but the big growth for you will come when you complete the construction. If you are already a Champion, you are in the fine-tuning stage. You must be vigilant in your focus to execute and tweak your four core plans. The four plans each Agent must have are time management, business management, personal management, and activity management. Time management is always ranked as one of the top three problems in surveys we conduct with Agents, Brokers, and Real Estate Companies. I get asked to speak on time management more than any other topic. The implementation of a solid time management plan alone will increase your revenue by well over 30% in the next year if you are a new or inconsistent Agent. A business management plan is essential to determine the results of your efforts. What does the financial score board say about your business? Too many Agents run businesses that are only marginally profitable. That’s bad enough. The worst part is that they don’t even know it. They don’t have a system of checks and balances to monitor the business results. As you expand your business and include more people, marketing, and advertising, you must be able to monitor the physical and financial results of your team’s efforts. You must have clear standards and practices to evaluate performance and results. A personal management system is probably the hardest area to work on. This one takes dead aim at you. It is where you are personally in your journey of success. Are you investing in your largest business asset . . . you? Are you holding yourself accountable enough for the things you need to do? Are you able to look at yourself and your performance with a discerning eye? Champion Rule: A Champion Agent is honest with themselves about where they fall short. I am not saying that a Champion is in a constant state of self-deprecation. They just have the willingness to be able to see their shortcomings and work to change them. If they feel they are not as strong on the listing presentation as they should be, they admit it and work to improve it. The people who are Champion Performers are most honest with themselves. They are able to ask themselves this series of questions on a regular basis to create urgency and change. What new behaviors do I need to embrace to achieve a higher level of success? What are the key abilities I need to possess to unlock my true potential? Why am I not taking the action I need to take? These are all the questions a Champion would ask themselves at least quarterly to see how they are progressing. The goal in life is progression . . . moving forward. Earl Nightingale defined success as “the progressive realization of a worthy goal or worthy ideal.” Your progressive journey to the Champion level of income, quality of life, business, and family is worthy. It’s worthy of the investment of time and energy. I want to share with you my favorite question for Champion Agents. It’s focused on improvement but also on the fact that there are priorities. The question is, “What’s the one thing that, if you mastered it right now, would make the biggest difference in your life?” That is a Champion question for a Champion Agent. It focuses us on our most significant barrier to greater success. We have to look at what creates the biggest return for us if we are willing to change. This question makes us recognize that we could change but might select a less valuable area to change. This lower-priority area would produce a diminished result. Champion Rule: A Champion focuses on removing the limiting step . . . now! Through years of coaching top performing Agents, I have come to realize how powerful removal of the limiting step can be. Each one of us is faced with a bottle neck. It’s a choke point right in front of us that we need to remove. Until we remove the limiting step or choke point, our improvement and change will be minimal. You will make strides of improvement, but it won’t be explosive, exponential, or vast improvement. Major breakthroughs in business and life come from removal of our limiting step. We are all facing one right now. We have to be willing to find that one and remove it. For example, a few years ago, I was working with a successful Agent in Champaign, IL. He was the top Agent in the marketplace. The challenge was his profitability could have been a lot better. He was a veteran Agent who worked mainly by referral for over twenty years. We traced his problem to over-expenditure in marketing, advertising, and personal time invested into each listing. We didn’t stop there because that wasn’t the limiting step. We traced it back to the fact that his days on the market average for properties was much higher than the board’s. This longer marketing time increased his expenses. It also influenced his average list price to sale price. On average, he had to do 2.35 price reductions on the 123 homes he listed each year before they sold. His limiting step was his price counseling segment of his listing presentation. The Sellers talked him into taking the home for more, even though he was the #1 Agent in the market, worked for the #1 company, had over twenty years of experience, and did mostly referral business. Mastering that one area in the next few weeks dramatically changed his business and life. He netted over $5,000 a month more, cut his days on the market by 50%, and increased his list price to sale price ratio by 7% in just a few months. He also enjoyed the business more because he was spending less time getting price reductions and had happier clients because they were not set up for failure. What is the one thing that, if you mastered it now, would make the biggest difference in your life? Lastly, we must construct an activity management plan. This is where each day’s activities are monitored, counted, and measured compared to your results. There is clearly a cause and effect relationship between activity and results. The question is what are the ratios of connection. What can you expect the return to be? I was working with a client in Detroit, Michigan. Because the local economy had been affected by the automobile industry, the market had toughened substantially. By reviewing his activity management plan, we determined that the number of leads he was generating through his marketing efforts and prospecting efforts had dropped. In three months, his leads per thousand mail pieces had declined by 33%. His conversion ratio on those leads had dropped another 18%. So he was getting fewer leads overall, but the lead quality and conversion rate had also declined. His telephone prospecting leads didn’t drop as much but still showed degradation at a 21% drop in lead generation and an 11% drop in conversion. We concluded that he needed to double the amount of contacts he was making in the mail and telephone lead generation areas to make-up for the marketplace change. I can tell you he wasn’t excited about having to do it, but he could clearly understand why he needed to do it. That’s the value of a good activity management system. Champion Rule: When performance is measured, performance improves. If you want to become a Champion Agent, you need to measure your performance. You need to count, track, and calculate your daily, weekly, monthly, and quarterly numbers for contacts, leads, appointments, listings, and sales. The sheer act of measuring raises the awareness and improves the results you achieve. Champion Rule: When performance is measured and reported, performance improves faster! As Champions, we want to move beyond the awareness level of improvement. By reporting your performance to your Broker, your spouse, another Agent, or your Coach, you increase the speed of change. You increase the speed of your income and earnings. You must have a way to report your performance and efforts to someone who will help you or hold you accountable for what you need to do. That is certainly a role that we at Real Estate Champions know well since we are one of the longest running, most established coaching companies in the real estate industry. The vast majority of Champion Performers had coaches or at least mentors at one time or another. I firmly believe that, as an Agent trying to achieve Champion level performance, you need to consider a Coach. I would encourage you, before you make a decision on a Coach, whether internal (through a Coach inside your Real Estate Company) or external (through a coaching company), go to our website www.RealEstateChampions.com to really understand what coaching is and isn’t. There are many imposters who are selling basic training or marketing programs dressed up as coaching. We have the tools to help you construct the four fundamental plans to increase your production and quality of life significantly. Start each day focused on the daily success of your business. You want to begin each day by reviewing your business plan. Focus in on the daily activities that will lead you to the successful result you have set forth in your plan. Long-term success is built on top of achieving daily performance standards – for weeks and months at a time. If your business plan is not broken down to the daily activities or daily performance standards, you should take the time to do so now. I call these daily activities “The Disciplines of a Champion”. We each have activities that, if left undone daily, will cause our business to suffer. 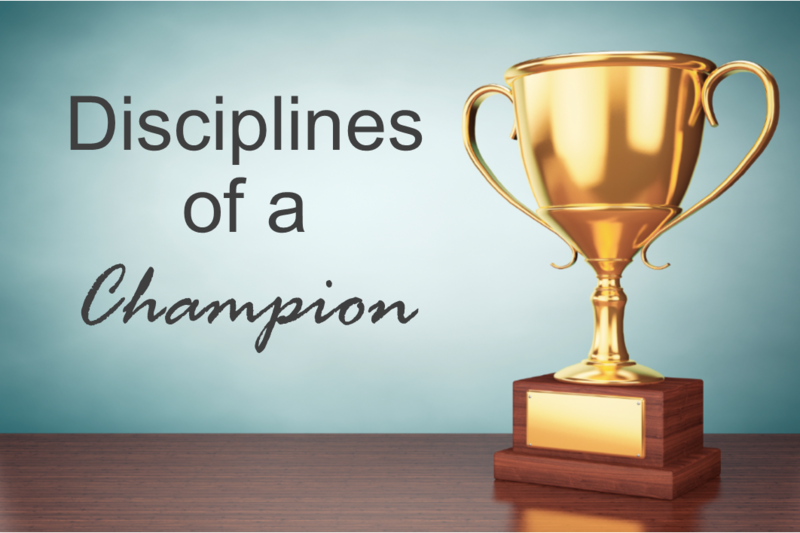 The Disciplines of a Champion are quantifiable and trackable. They are a specific amount of time or a specific number that must be achieved. To have power, the disciplines must set the timeframe or the quality. It is too easy for us to opt out and not accomplish our goals without concrete parameters. Next, you need to evaluate whether you are ahead or behind for this week. Then create the strategy to catch up if you are behind or focus on maintaining the current strategy and direction that has kept you on plan or ahead. Too often, we know we are behind and let it go for too long without a change. You must react and change quickly to catch up. We often do not raise the level of our intensity or increase our work output until it is too late. If you get too far behind and are spending tremendous amounts of time inflicting wounds on yourself, change the plan. Always have a Plan B. There is no embarrassment to working a Plan B. Often Plan B is the better plan because you can invest the mistakes you made in Plan A. Edison tried over 10,000 different elements in his light bulb before one worked. What would have happened had he stopped after Plan A? Zero in on your area of success. People are paid very well on the few things they do very well. That is one of the best things about the field of selling real estate. There are so many ways to earn an outstanding income. Do what you do very well. We coach our clients to develop three to four areas of specialization in the real estate field and work to project their skills in these areas. Do not be a generalist in a specialized world. The jack-of-all-trades is also the master of none. You are highly skilled in a few specific areas of real estate sales. If you have only one or two areas, you need to begin to learn and add another area or two to give you balance. The possibilities are truly endless when you become a specialist. There is an endless supply of opportunities to become the recognized expert in your area in a few categories. I could list three pages of categories, but you get the idea. Your success in your real estate career must be built from the ground up. Pour a solid foundation of daily disciplined goals and activities. These daily disciplines, or Disciplines of a Champion, will set you on the path to success in your career. Review and analyze your progress daily. Do not be afraid to adopt a Plan B if needed. Create a few areas of specialty. Decide what you enjoy doing and do well. Then zero in and take dead aim for the target of being the recognized expert in your area. Your ability to plan, set goals, and create action plans to accomplish your goals is the mark of someone who is truly successful. This skill to set goals is a life-long endeavor. It is a habit that must be cultivated daily for a lifetime. This single activity will have the greatest impact on your life over any other achievement skill. To be disciplined in setting goals is to sit down with paper and pen and make a list of things you want to acquire, attract, or accomplish in the next several years. Earl Nightingale said, “The problem with people is not achieving the goals we set, it is actually the process of setting them in the first place.” We are all goal-seeking organisms. Your subconscious mind will work on the goal you give it until it is accomplished. However, you must first set this vast powerful computer in motion by setting the goal. To achieve a well-rounded, joyous life, we need to be working toward our goals. When it comes to goals, the journey is almost better than the destination. Success was defined by Nightingale as the progressive realization of a worthy goal. You become successful once you set the goal and work toward it. Success is not found only at the attainment level but also in the striving for attainment level. You need goals in all areas of your life. It is not good enough to set your sights on your business or commission earnings or transaction sides. You need goals in family, spiritual, physical, financial, and mental areas of your life. This is the only way to achieve balance. Organize your goals in all areas based on priority. Put the most important ones on the top. Our overall goal for our life should be to be a continuous goal setter. We need to become so focused and clear on what we desire that every hour and every day we are doing the things that are moving us in our direction of choice and toward our goals. Studies have shown that you will save ten minutes in execution for every minute that you invest in planning or goal setting. What an incredible return on your investment of time. How often would you invest in an opportunity that allowed you to put in a dollar and got ten dollars back? 1. Your goals must be specific, detailed, and clear. You must invest the time to put them in written form. There is a direct link between your writing the goal, seeing it being written, and burning it into your subconscious mind. The goals you desire must be specific, not vague. To set a goal to be rich or be happy will not draw you to it. Well-written goals are like magnets – they will draw you to your desired result. Your goal must be concrete and tangible. 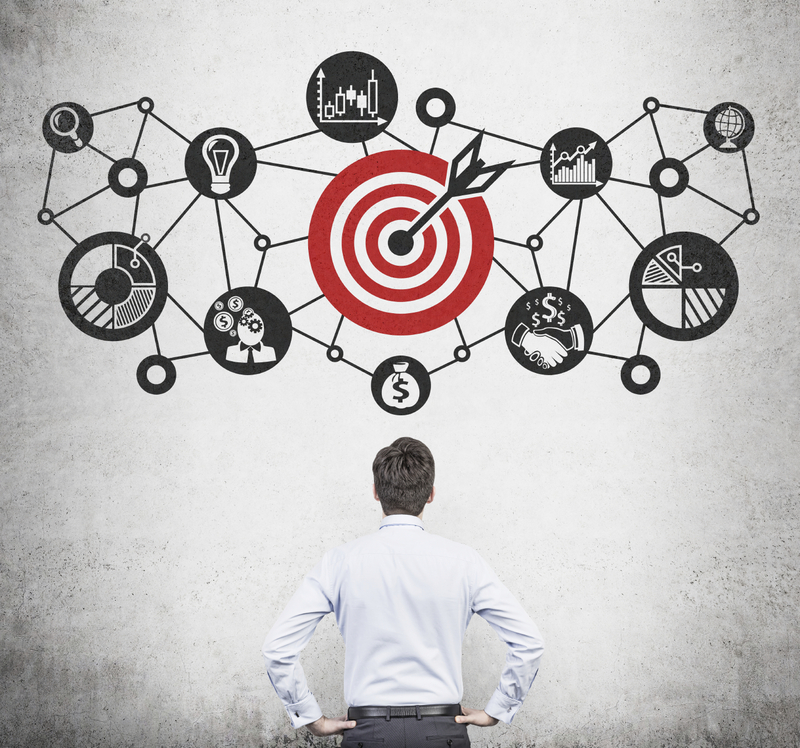 Highly defined goals are attained – fuzzy goals are forgotten. 2. The goals you set must be measurable. How can one truly measure happiness? You have to be able to analyze and evaluate your progress and your results in a tangible way. Many people have a goal of being rich. You need to know specifically how much money rich is. Your need to know the specific time period you want to achieve it by. Now that’s a goal! 3. The best goals have deadlines. They have a time by which you need to accomplish them. They also have interim steps along the way that can be monitored. These sub-deadlines or schedules are critical to success. There are no unrealistic goals; there are merely unrealistic timeframes. 4. Goals need to challenge you to capacity or beyond. They will stretch you and mold you into a new person. The late Jim Rohn wisely said, “It’s not the money that makes the millionaire successful; it’s what he had to become (as a person) to earn a million dollars.” If you took the money away from that millionaire, he would make it back twice as fast as before, because he learned the skill to make it in the first place. 5. Your goals need to possess congruency with your values and beliefs. Your goals also have to be harmonious with each other. Let me give you an example: I want to lose 40 pounds, but I also want to eat Dreyer’s Rocky Road ice cream every night before I go to bed. One of these goals will need to give way to the other. They are not congruent with each other. There is no way I can achieve both at the same time. You cannot achieve goals that are actually contradictory. 6. Your goals must have balance between your personal life, family, financial, spiritual, physical, mental, and business goals. Just as a wheel needs balance to rotate properly, we need balance to get anywhere in life. 7. The largest most difficult goal in life is to define your purpose goal. We all have one goal that is at the core of our being. Our life moves to greatness when we decide upon a definite purpose or focus for our life. I can speak from personal experience. When I determined my “core purpose” was to make meaningful impact in the lives of all the people I come in contact with, my perspective changed dramatically. My enjoyment of my day to day “work life” increased. Fortunately for me, I get to live my “core purpose” daily by helping people such as you reach their fullest potential and joy in life.